Home Sustainable Home & Office Reduce•Reuse•Recycle with Creative Halloween Costumes! Reduce•Reuse•Recycle with Creative Halloween Costumes! 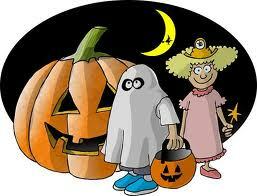 Halloween costumes, can cost at a minimum, $25 dollars on up per costume. If you’ve got several children or family members to outfit, the costume bills (along with candy and other fun fare) can really start to mount. So why not get creative with reusable, eco-friendly Halloween costumes? How do you start? What do you have that might make a great costume? Maybe you have all the items you need or perhaps you may have to buy one piece rather than an entire costume. Check with friends and relatives to see what you can mix and match. Thrift shops, are also a great place to find the little nuances to add to your costume. Princess –Pair a long gown with gloves (short or long). Wear a tiara and carry a star wand. Your Halloween subjects will bow in appreciation. Cowboy or Cowgirl – Flannel shirt with Jeans, cowboy boots and hat. You might even tie a red bandana around your neck. Don’t forget to carry some rope – to lasso in your candy of course. Halloween Masked Man – Everyone knows the iconic white mask from the John Carpenter Halloween movies. How to create this look? Black pants, black top and white mask of course. BOO! Hippie or 70’s person – Think colorful. For girls and women – pair a long skirt with a flowered top. Wear several long necklaces and dangly earrings. A headband or floppy hat also works. For a man – pull out some ripped jeans and wear a cool t-shirt with a peace sign (or your favorite band logo). Put on the boots and/or sandals and maybe a funky hat. Now you’re lookin’ groovy! Witch – Pair a black skirt and top with pointy hat. Bring a long a broom (or for a wand, carry a long glow stick!). Instead of black, you can also opt for being a good witch and wear blue or white. Whatever it is you choose to do, just remember to say, “Bippity Boppity Boo!” Now you’re ready to cast some spells! Vampire – I vant to drink your blood! To transform into a creature of the night that would even give Bram Stoker a scare, almost any type of dress with creative make-up will do. If you have a red or black cape, fantastic. However, the only purchase that might be needed to complete the look – Vampire fangs! (Even a red lipsticked-mouth with droplets of blood dripping from the corners will do!). Maid – Coffee or tea anyone? A maid’s outfit might be anything from a black dress or skirt and top paired with a white apron. Don’t forget to carry your broom, feather duster or even a silver serving tray! Hobo –To create the look of an authentic hobo, try wearing some ripped or patched jeans or pants. An oversized jacket and t-shirt and a funny looking hat add great touches. Of course, don’t forget your hobo stick (a long stick with a red kerchief pouch – which can double as another place to stash your candy!). Hollywood director – Lights! Cameras! Action! If you want to get the look of an old time Hollywood director – wear some jeans or black pants, paired with a white or dark top. Don’t forget the beret, dark shades. You might also want to carry a video camera to document the Halloween fun! Creating your own costume will be almost as much fun as going out Trick-or-Treating! LISTEN TO THIS PODCAST, CLICK HERE! 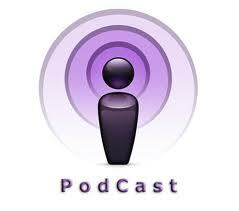 LISTEN TO THIS PODCAST IN iTUNES, CLICK HERE!